This season we used a few new boas and the results were pleasing. Heidi is really stepping it up each year. Next years breeding has already been planned. This snake was imported for resale but needless to say when it landed "someone" shouted shotgun and it became one of the collection. It is a Lipstick coral sunglow motley. the name has been shortened to "Woer woer boa". He managed to produce a few nice babies but obviously the slugs were all the sunglows because there was only one sunglow and I shouted shotgun on this one for me. Now even though motley and salmon/hypo are both co-dom genes the male could only pass on either salmon or motley but not both. To make salmon motleys you have to use an motley on a salmon and for a sunglow motley you have to use a sunglow on an albino motley and get a single co dom gene from each parent and the recessive gene from both parents. The coral and lipstick are line bred traits and even though the father is diffused with coral I dont know how you see lipstick. It does make him very pretty though. The albino motley babies are obviously a cut above the others you see on the market because of this. Then there are some babies from another coral line. Many people claim to have corals but if you look at what this baby looks like there is no doubt. People say you have to wait months to be sure but I am pretty sure this is way prettier than any other albinos at a month old. 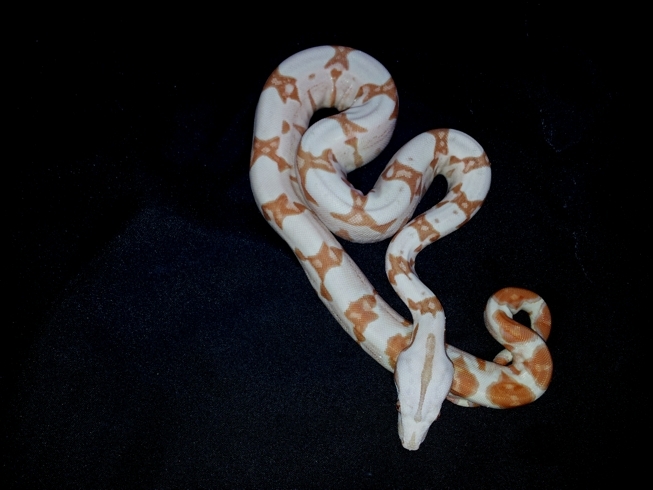 If you get offered a coral albino and it does not look like this then its probably not a coral. Even the motley het albino looks very clean and crisp so possibly the coral does something besides making the orange dots on the albinos? I am not too disappointed with this boa season and virtually all the babies ate straight after shedding which is great. Last year we had a few that took ages to start feeding properly. Now I have to find place to keep back a few AGAIN. But seeing these pictures make me want those!! 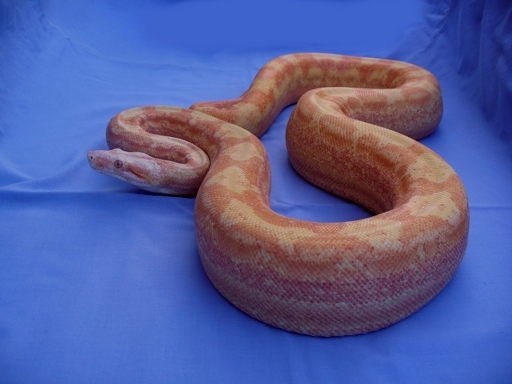 I'm not into boas per se, but I have always found them attractive. That motley het albino is pretty spectacular. That shotgun Sunglow is spectacular! 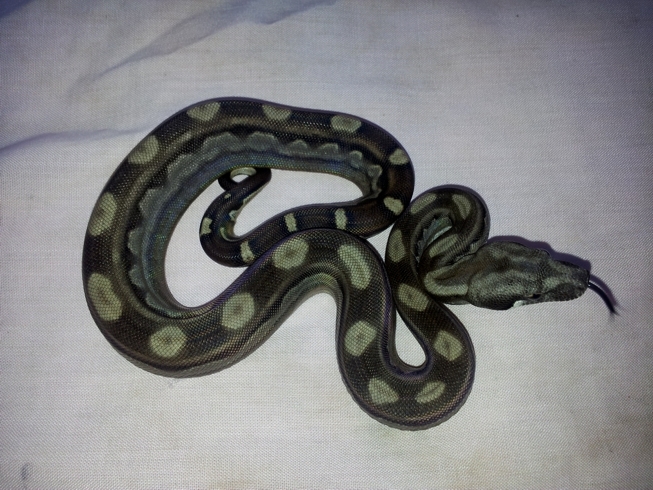 You know you have some luck when you drop food in on 46 baby boas and only 3 dont eat the first time. I wish I had the same results on my retics. For some reason some have decided eating is something I have to coax them to do. Then of course there are the eating machines amongst them as well. 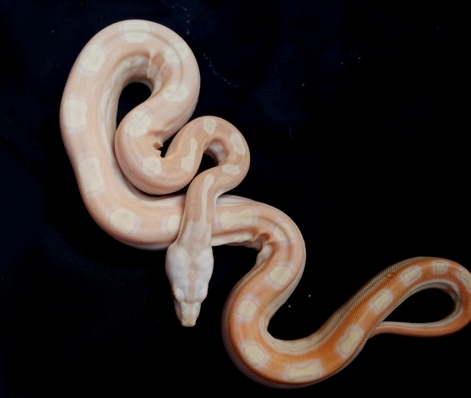 Any nice morphs up for grabs this time round? Looking for hypo or motley. Possibly both. Any BCC or anything other than BCI up for grabs? I'm looking at getting back in. Pop past at the expo and come see what I have available. I am VERY new to the boa craze, having had 2 ball pythons for about 10 months now and just bought my first red-tail - a Hypo Motley pos het Lipstick female. 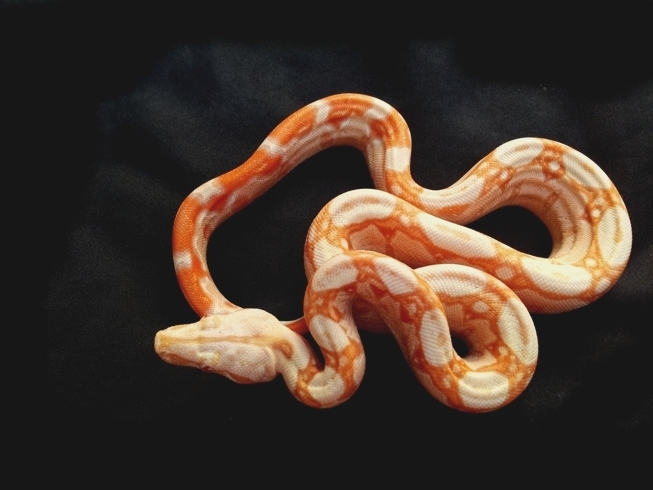 The breeder suggested that if I were to get a male, that I should get a Lipstick het Albino. I know this thread is almost 4 years old, but am wondering whether you have anything suitable as a male for sale?